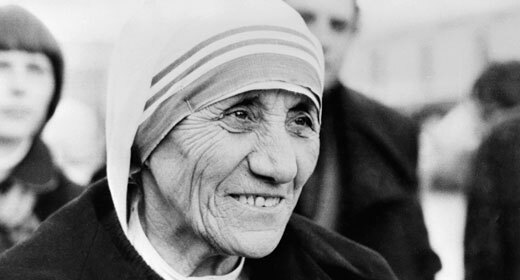 Blessed Teresa of Calcutta, born Agnes Gonxha Bojaxhiu and commonly known as Mother Teresa (26 August 1910 – 5 September 1997), was an ethnic Albanian, Indian Roman Catholic nun. “By blood, I am Albanian. By citizenship, an Indian. 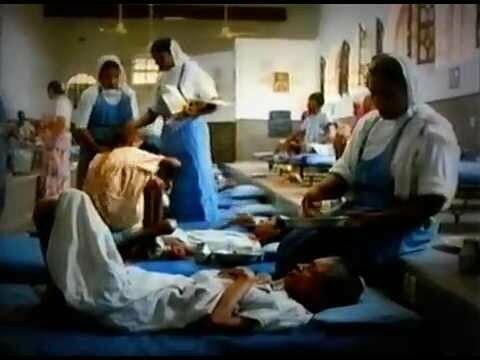 By faith, I am a Catholic nun. As to my calling, I belong to the world. 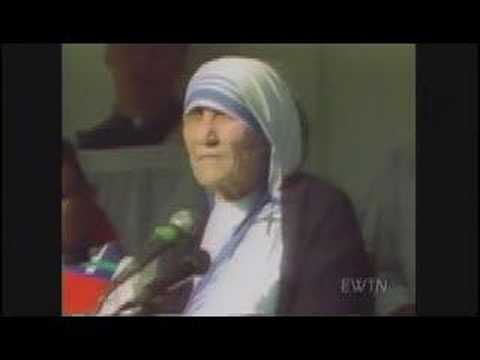 As to my heart, I belong entirely to the Heart of Jesus.” In late 2003, she was beatified, the third step toward possible sainthood. 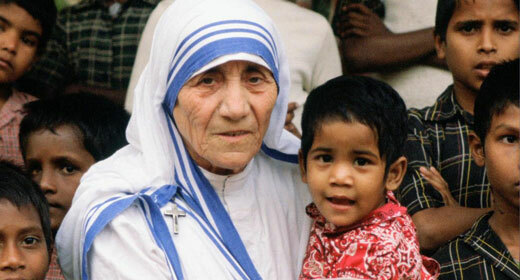 A second miracle credited to Mother Teresa is required before she can be recognised as a saint by the Catholic church. 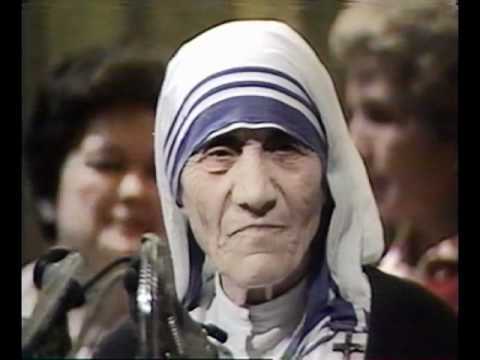 She was the recipient of numerous honours including the 1979 Nobel Peace Prize. 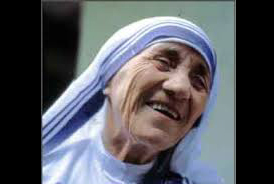 She refused the conventional ceremonial banquet given to laureates, and asked that the $192,000 funds be given to the poor in India. 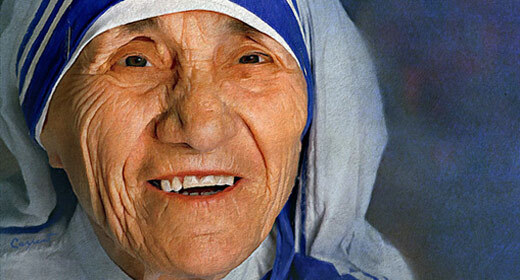 Her awards include the first Pope John XXIII Peace Prize, the Philippines-based Ramon Magsaysay Award, the Pacem in Terris Award, an honorary Companion of the Order of Australia, the Order of Merit from both the United Kingdom and the United States, Albania’s Golden Honour of the Nation, honorary degrees, the Balzan Prize, and the Albert Schweitzer International Prize among many others. 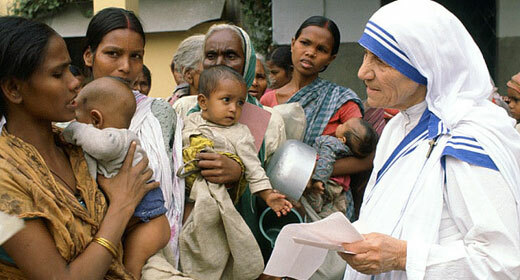 Mother Teresa stated that earthly rewards were important only if they helped her help the world’s needy. 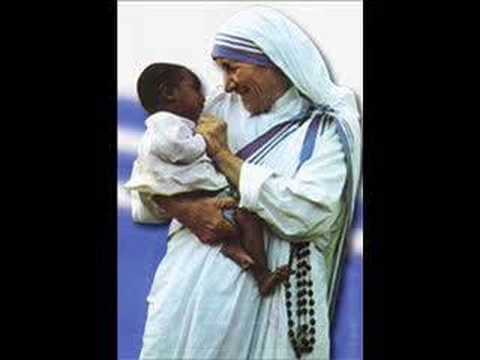 When Mother Teresa received the Nobel Peace Prize, she was asked, “What can we do to promote world peace?” She answered “Go home and love your family.” In her Nobel Lecture, she said: “Around the world, not only in the poor countries, but I found the poverty of the West so much more difficult to remove. When I pick up a person from the street, hungry, I give him a plate of rice, a piece of bread, I have satisfied. I have removed that hunger. 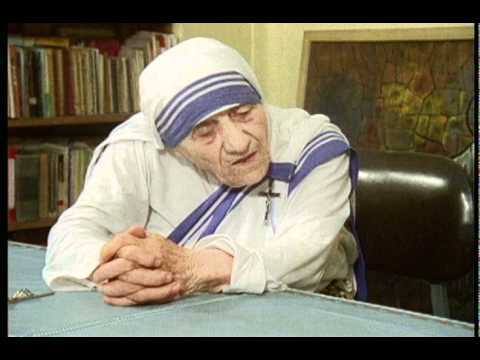 But a person that is shut out, that feels unwanted, unloved, terrified, the person that has been thrown out from society—that poverty is so hurtable and so much, and I find that very difficult.” She also singled out abortion as ‘the greatest destroyer of peace in the world’.